Socialist candidate favors forced unionization and gutting the First Amendment. 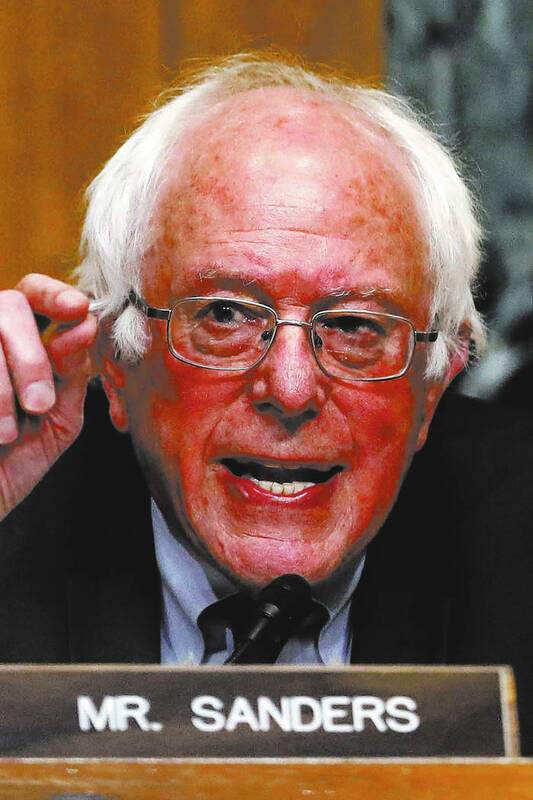 Bernie Sanders brought his “workers of the world unite” snake oil tour to Las Vegas on Monday and vowed, if elected president, to impose forced unionization on employees and to gut the First Amendment. Both of these proposals provide ample evidence that his progressive-socialist agenda rests on a creaky foundation of authoritarianism at odds with the Constitution’s promotion of liberty and freedom. Recall that Citizens United involved the government’s effort to ban a movie unfavorable to Hillary Clinton under the guise of enforcing the McCain-Feingold campaign finance law. During arguments in front of the court, the assistant solicitor general told astonished justices the statute would also allow regulators to ban certain books or political pamphlets. In the end, the justices correctly upheld the right of Americans to finance political speech. Sen. Sanders, in the name of muting the dreaded 1 Percent, instead advocates we censor various election-related communications. The Vermont senator’s embrace of government compulsion also leads him to attack the concept of freedom of association. Sen. Sanders told his labor-oriented audience at Paris Las Vegas that he would “end, once and for all, the disastrous right-to-work laws in 28 states,” including Nevada. Thus he seeks to limit the freedoms of millions of Americans by mandating they fund and join organizations they do not wish to promote. It’s worth noting that in the wake of the Supreme Court’s Janus decision last year, which essentially held that government workers who opted not to join a union could not be required to pay union dues, a whole host of public employees exercised their freedoms. Reason.com reported this week that the American Federation of State, County and Municipal Employees lost 98 percent of its “agency fee members” after the ruling. In order to keep the cash flowing from nonmembers to Big Labor, however, Sen. Sanders wants to deny workers — in Nevada and elsewhere — the right to make their own choices about union membership. Big Brother knows best. “If we stand together,” Sen. Sanders told his Las Vegas audience, “there is nothing, nothing, nothing that we cannot accomplish.” Especially when you propose to use the vast power of the state to prevent those who have other ideas from straying too far out of line.